Cards c/o Treat, but opinions are all my own. From a young age my mother taught me the importance of a handwritten thank you note; every time my sister or I got a present she had us sit and write one to show our appreciation. While I may have found this annoying when I was younger, today I am so thankful that she got me in the habit of writing thank you notes. It makes me sad that in today's day we've gotten away from writing these simple sentiments. I am someone who loves receiving a thank you note, and notices when someones does not send one. 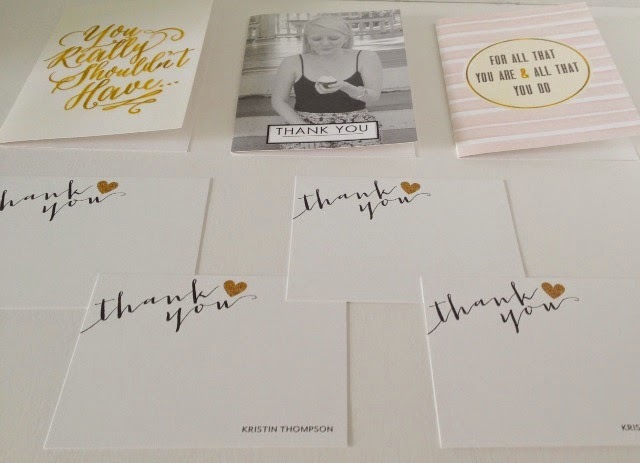 Thank you notes are a classic way to show gratitude and are something that are always in style. Today there are so many pretty options for different cards and stationery, and using them will add a chic touch to your note. This is where Treat (the new greeting card website by Shutterfly) comes in! They have a wide variety of super cute thank you cards and stationery to choose from. Treat allows you to really customize your cards by adding pictures, changing wording on the cards, and even adding your signature for you. If you want Treat will even send the card out for you making everything quite simple for you! -Be sincere, always write a thank you note from your heart. 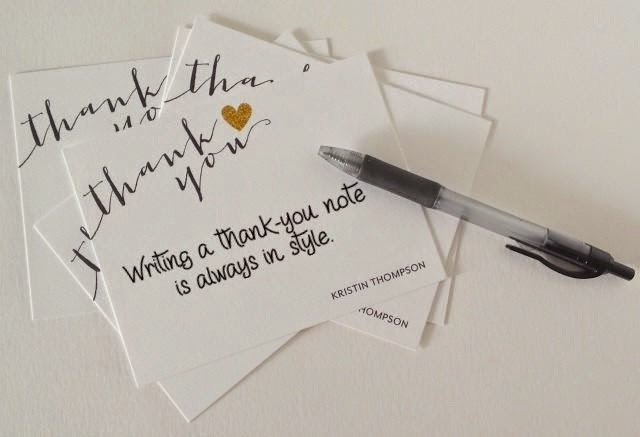 -You only need three sentences when writing a thank you note, which makes them easier to write. -Be timely and send your note out as soon as possible! Do not wait longer than 2 weeks to write it. -Use a pretty card or Stationery, like the ones from Treat, to add a special touch. 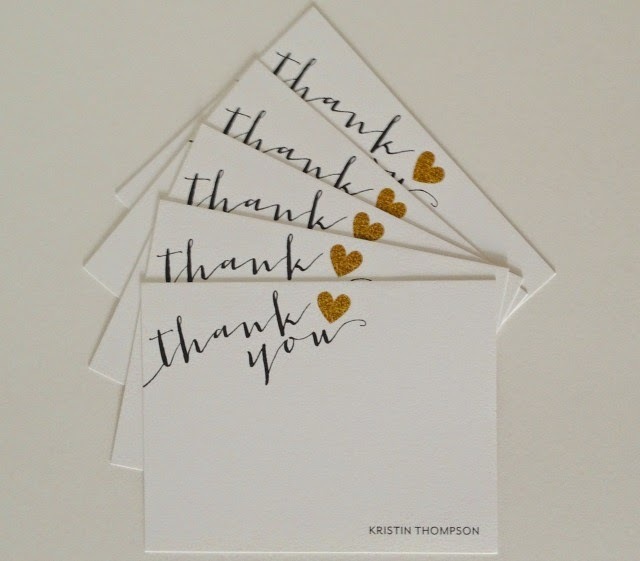 Thank you notes can show off your class and style, and are so simple to write out. Handwritten notes are chic and something that are always in style, no matter what. 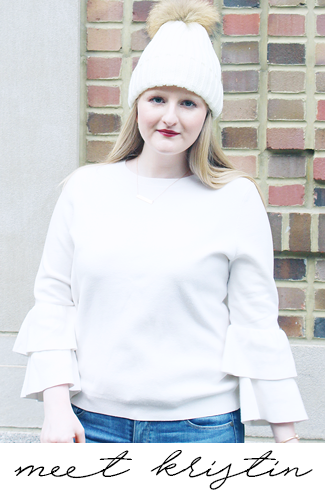 Today I'm linking up with #TrendingTuesday. I get anxiety if I haven't gotten my thank you card out within a week of the gift! Loving the adorable cards! I agree thank you notes are SO important and these ones are truly fabulous! 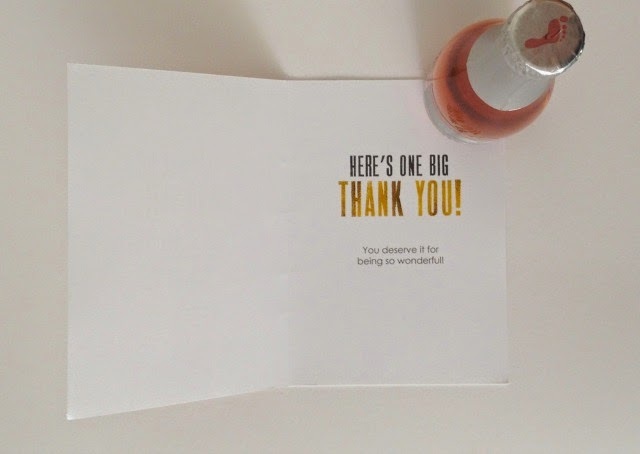 I totally agree that thank-you notes are underrated nowadays, but people really do appreciate it when you've taken the time to properly thank them. My biggest regret from my wedding came in the months afterwards. 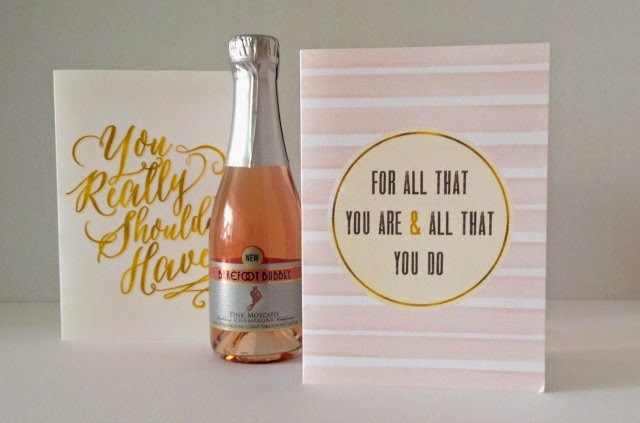 I had the thank you notes designed, printed out, stamps and envelopes ready and a list of what to thank people for, etc all done- and then life happened. We found out we were pregnant, then not, then it was months later and I never sent them. Of course, we thanked them in person, but what an easy thing to do that we completely missed. 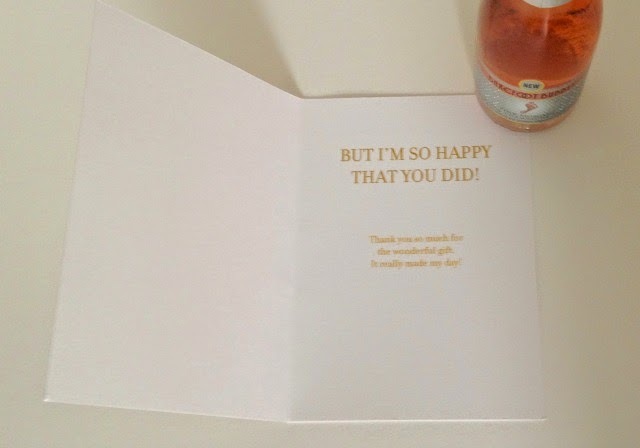 I love those cute and simple thank you cards! So cute! 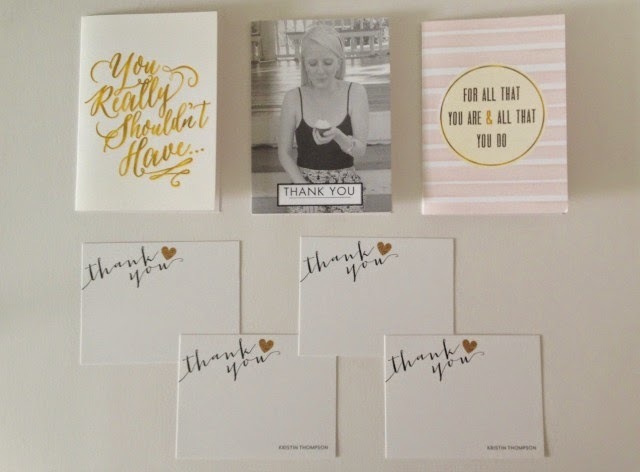 Technology has totally taken over and I feel like people forget how important (and sweet) a simple thank you note is! I completely agree! A handwritten note is just so much more sincere! These are too cute! I'm totally agree with your words and your way to see thanks you is definitely so stylish! Beautiful post! Your blog is so nice. In my blog there is a GIVEAWAY. Take a look, thanks. Love this! I was also taught the importance of writing thank you notes, and it makes it so much more fun when you have cute stationery! :) Thanks for sharing Treat with us! totally agree with you! nothing better then a cute hand written thank you card, its just more personal that way! This is a great reminder!! K & I used to be SO good at remembering to send thank you notes, but we just thought of three things the other day that we forgot to send thank you notes for. & they were amazing things so we feel terrible! 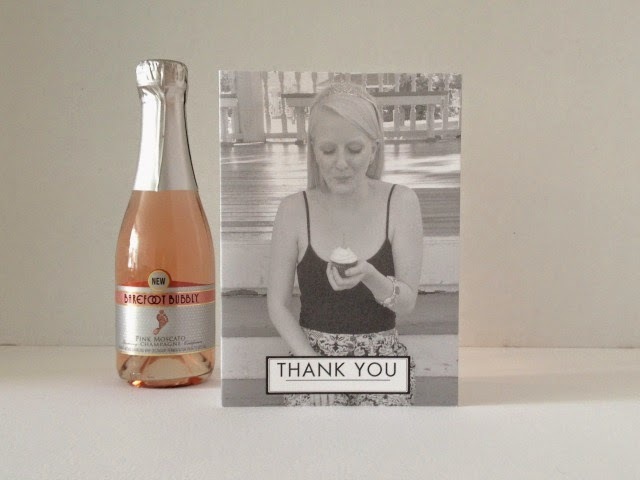 Love your thank you notes – too cute! These cards are so adorable, saying thank you in style..ha!